09.08.2018 (Hvino News). 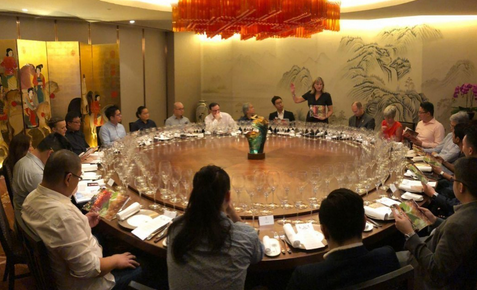 "Was so impressed by the high interest in Georgian wines by the top sommeliers in Singapore!" - commented Debra Meiburg MW, who leads "Georgian Wine Asian Tour 2018" - a series of Georgian wine promotion events in South East Asia. The Tour started in Singapore and South Korea. It will continue in China (Shanghai, Macao, Xiamen, Guangzhou, Shenzhen, Hong-Kong). 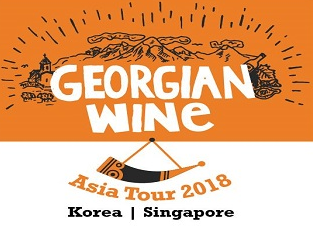 Organized by Meiburg Wine Media, the Georgian wine tasting events within "Asian Tour 2018" are attended by wine importers, representatives of media, restaurants and hotel chains. About 10 Georgian wineries are represented. South-East Asian countries are an important market for Georgian wine. During the first seven months of 2018, export to South Korea reached 40,980 bottles (growth 1,305 percent), as for Singapore – 40,800 bottles (growth 7,600 percent).